Natural beeswax Christmas tree ornament! 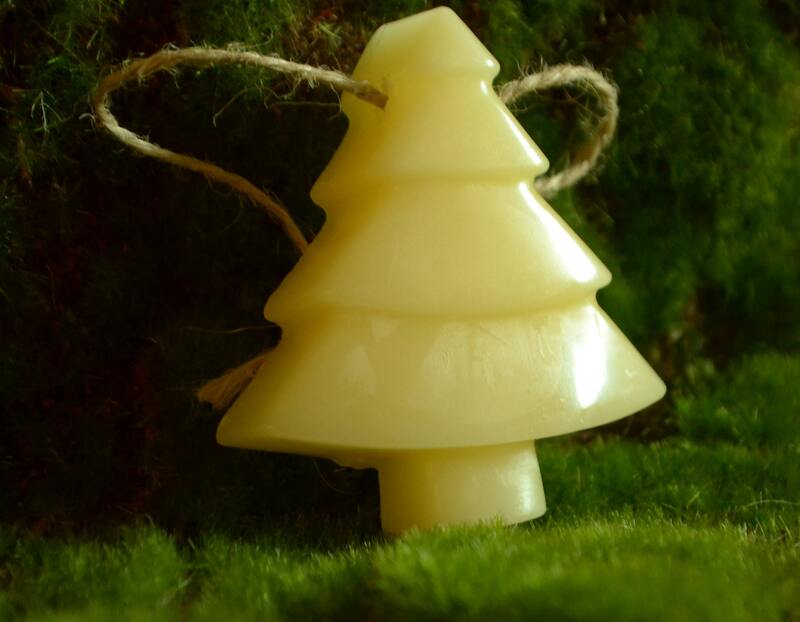 A beautiful addition to any Christmas tree, made of 100% natural beeswax, molded into the shape of a tree. No added scent is added to preserve the natural, almost honey-like aroma of the wax. Dimensions: 3" x 1.75" x .75"